There, select a profile, then "Define columns" button (a hammer). 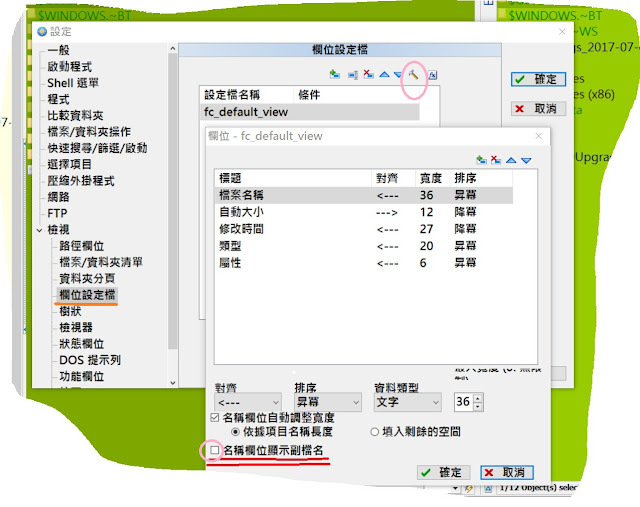 There is open window where columns can be defined. The last check is: Show extension in "Name" column. There "extension" for file name can be enabled or disabled.